2009 - Winning first prize at the National Competition "Living Human Treasures"
Encouraged by UNESCO with the project "Nestinarstvo (Fire dancing) - a living magic with fire", in partnership with dancers from the village of Bulgari and supported by the Municipality Tsarevo. The project offers alternative jobs at the archaeological site, which is a great help in this underdeveloped area. Partners are Municipality Kameno and Foundation Rusokastron. In partnership with Ministry of Culture and Sozopol Municipality. 2008 - Development and socialization under the national program "Beautiful Bulgaria"
Open-air exposure - Lapidariy next to the building of the Archaeological exposition (Bogoridi Street 21) - "Burgas - a crossroads of ancient civilizations". 2007 – "Sozopol and Southeast Black Sea coast during the 5th-15th century"
In partnership with Foundation Sozopol. 2007 - Celebrations dedicated to the cult of the sun. Exhibition of RIM Burgas in AEK Museum Etura (22.05. - 23.06.2008). In partnership with Foundation Rusokastron. Led by Tsar Ivan Alexander at the historical fortress Rusokastro on July 18, 1332 – in partnership with Foundation Rusokastron. 2006 - "Cross-border cooperation with Turkey"
In partnership with Municipality Kırklareli, Turkey. "Turkey - Bulgaria, cultural interaction and presentation of both regions: Kırklareli and Burgas". 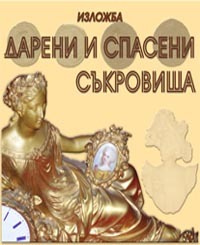 2005 - Participation in the European exhibition "Days of Slavic Culture"
at the State Ethnographical Museum, Warsaw, Poland, with the exhibition "Bulgarian magical traditions of Burgas region". through the restoration of the southern fortress wall and tower in Sozopol and construction of public tourism infrastructure for people with disabilities "under the PHARE Program" Development of Bulgarian Cultural Tourism ". 12.2004 - Slovenian Ethnographic Museum, Ljubljana, Slovenia. 2004 - Archaeological research, conservation and restoration of the Thracian and Medieval complexes on the right bank at the mouth of the River Ropotamo. The project was funded by the National Culture Fund under the Ministry of Culture. 2003 – "Burgas Wetlands" part of "Small Projects for Education"
leading theme "Natural habitats under protection in Region Burgas". 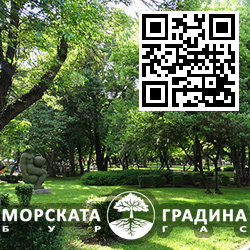 In Partnership with Bulgarian Biodiversity Foundation. 2003 – "The living Museum"
Performing of authentic rites in their original surroundings and ensuring the possibility of succession between the present and future bearer of these traditions. In Partnership with the Society of Museums in Valencia, Spain. 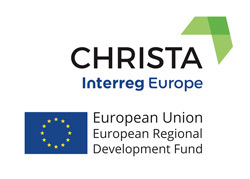 presenting exhibitions, cultural program and tourism in the Region Burgas. Organization of a new IT politic, development and popularization of specialized scientific and educational activities in Regional Burgas Museum. 02.07-28.10.2001 – Participation in the Exhibition "Troy: Dream and Reality"
Education in Traditional folk Crafts on the territory of Municipality Primorsko. 1998 - Bulgarian-Dutch Project "Greener Burgas"
Environmental Problems on the territory of Burgas Region. 1997 - Bulgarian-Dutch Project "Greener Burgas"
Long-term Development of Environmental and Village Tourism on the territory of Burgas Region.